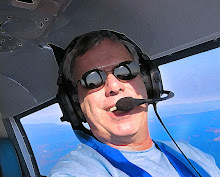 As I sit in the Lihue, Hawaii airport about to depart on a redeye back to the mainland after a week of bliss on Hawaii's oldest island of Kauai, it gives me time to pause and reflect on some aviation thoughts that have come my way while on holiday. Before even landing at KLIH a week ago, I began thinking about what it means to fly in an airplane 2,123nm from San Francisco to KLIH (at least that is what it said on my luggage tag, but try and use that in Foreflight and it'll generate the dreaded "no joy" error..it's PHLI in the flight planning world). Our flight out here was longer than I had remembered, but not as long as if I had flown my Cherokee 235 here with ferry tanks. That would have required just over 17 hours and about 206 gallons of fuel. I was treated to live Flight Deck audio from United courtesy of Channel 9 on their audio system, which was replaced with some boring elevator music not long after the crew pointed the nose of our 757 at the islands and floored it. I guess not much happens for the next 4.5 hours, when the view does not change and all the traffic is company jets flying the same routes. About 45 minutes out of Lihue, the flight deck audio came back on, and the crew spoke as if they had flown the exact same routing and approach 1,000,000 times. We bomb through a couple of clouds on to the ILS, and were wheels down in paradise..piece of aviation cake, at least it was in a -57. As we rolled out at LIH (or, um, PHLI), I began to think about Pan Am's Honolulu Clippers that flew out here. Sure the flight was much, much longer, and the food was served not in a cardboard box packed in Oakland, but on fine china prepared on board. This must have been quite the voyage, taking between 16 and 20 hours depending on winds. Flying a "Clipper" was more like taking an ocean cruise, and people dressed nice. The women wore pearls and dresses while the men - in suits and hats - smoked Pall Malls and sipped scotch while discussions of acquiring pineapple plantations ensued in the Parlor. Today, it only takes about five hours, but you are crammed so tight on this route, it is literally impossible to exit your seat row to the aisle if the aisle seat in front of you is fully reclined. Not. Kidding. My wife and I had to climb OVER the outside armrest to get to the aisle. Juan Trippe would have been mortified. A day of snorkeling with gigantic Hawaiian sea turtles at Tunnels Beach on Kauai's North Shore was complete with beautiful scenery, great water conditions, and an aviation soundtrack that made me think of...Oshkosh. You know that Bell 47 that does endless laps over EAA AirVenture all day, every day? You get to a point on about day three when the sound of its rotors beating the air into submission fades away. That was how my day at Tunnels was...except the choppers were mostly turbine rotorcraft flying in trail past the nearby Na Pali coast. Helicopter touring is big business here in the Hanalei area, and from sun up to sun down, it's a freeway of these craft raking in the dough hauling tourists up for short scenic flights. 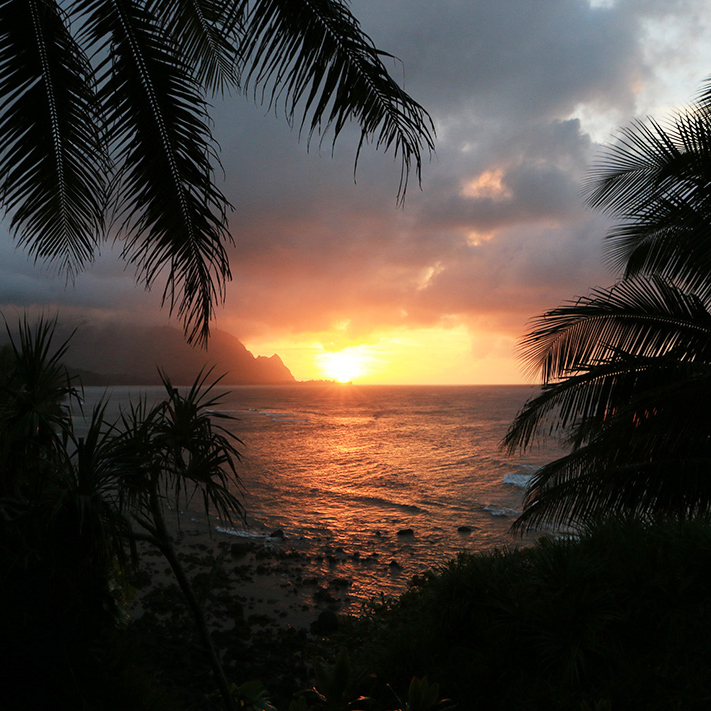 On Kauai's North Shore, it rains every day this time of year. Not all day, but in five minute microbursts of drenching sheets of rain. And then it stops. And then it starts...all day. But the clouds that hang along the peaks of the surrounding mountains are persistent, so these chopper pilots just make do with them and get to work. They mostly go around the weather, staying close enough to shore to get people paying $150 and up for an hour of flight in an A-Star a good show. But I did see a chopper pop right out of the clouds, and am guessing there was no IFR flight plan anywhere in sight. Must have gave Mom and Dad from Iowa a real jolt in the back seat. As any pilot, my eyes are always on the sky. I like to make mental notes of what flies by, but on Kauai this trip, I saw very few fixed winged craft. They were so rare over one week, I can tell you them in one sentence: A Pilatus PC-12, a Cessna Caravan and one biplane. My guess is the C208 and biplane were tourist operations, and the Pilatus might have been a private ride giving family a scenic tour. Every time I come to Kauai, I threaten to sell everything I have and move here. Real Estate used to be somewhat affordable, and I could sure get comfortable with the "808" lifestyle. But today, even tiny 375 sq. ft. condos sell for $250,000, and any house with acceptable living space was in the $1.2 million range. Can't even afford that, but wow, wouldn't it be great to be so far away from the daily shootings and general B.S. of mainland USA - almost 2,200nm out in the middle of the Pacific - and still be on United States soil. The one thing that has kept me planted in the "Lower 48" is aviation. Yes there is GA in Hawaii, but my island of choice, Kauai, is not that big. You can drive from Princeville on the North Shore all the way around to the East (Kapa'a) through Lihue and over to Waimea Canyon in a couple of hours. But in my Cherokee 235, it would be a quick flight...more like a hop. Barely enough time to warm the oil. Imagine how boring it would get to go around a basically circular island again and again. I'd be forced into some pretty long overwater legs to get to the other islands, and I have never been all that keen on long GA flights over water in a vintage single-engine plane. Taking a redeye back to the states is one trick my wife knows for extending our Hawaiian vacay a few more hours. You check out of your hotel (or in this case, our condo) and have all day and early evening to lollygag around, play some more at the beach, do whatever...before moseying over to the airport for a sleepy ride home. As we waited at LIH's gate 10 tonight, our flight crew showed up, bright eyed and ready to aviate. But it got me thinking how everyone in the back is going to board and fall asleep, while the crew up in front has to stay wide awake for a boring five-hour flight, flying a route they might have flown too many times. I used to work graveyard shifts, so I know it is possible to sleep during the day and work all night. So kudos are in order to the flight crews all over the globe that figure out how to sleep, eat, live life, fly and have a family while trying to keep that all in balance. I am feeling tonight that line pilots put more work than we realize into being sharp when the dispatcher wants them to steer one of their pressurized tubes across the square states or over an ocean at some crazy hour. Sometimes we think of pilots like Karlene Petitt spending their down time sipping Espressos in a little cafe in Amsterdam's Rembrandtplein district, or expect to see Eric Auxier lounging by the pool at the Hollywood Hilton. Instead, I believe it is more like fly, take the shuttle to the hotel, sleep, eat, take another shuttle to the airport, and fly again. Rinse and repeat. I'm now back home after spending a few hours in the luxury of the United Club at KSFO during a four-hour layover. Nice quiet place to hang out and use up the two free "one-time" passes that come with our agency credit cards. Granola was decent, oatmeal was passable, coffee was adequate. But really, United, you want to impress me with the glitz and polish of your United Club?